Conga Novatus is a cloud-based, enterprise-grade contract lifecycle management solution that empowers companies to enforce contract language, mitigate risk, and develop policies. Conga Novatus provides users with the ability to satisfy a wide range of contract management requirements across unlimited use cases while supporting specific business needs. Drafting, negotiation, workflow and approvals, reporting and renewal management are all benefits of Conga Novatus. 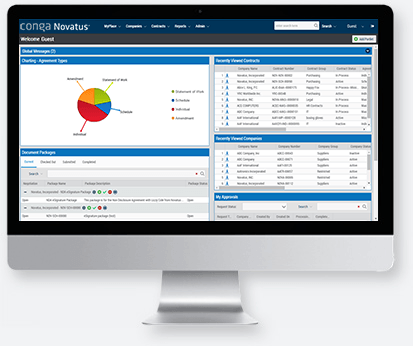 Conga Novatus offers a customer centric dashboard that provides real-time, personalized display of data and statistics. Other benefits are the ability to store and manage unlimited contracts, gain access to compliance reporting for greater visibility throughout the organization in order to reduce risk and exposure, monitor and track interactions and cycle times throughout the contract lifecycle, compare revisions, route tasks to appropriate parties and track progress, negotiate in a secure environment, and speed up negotiation timelines with electronic signatures. 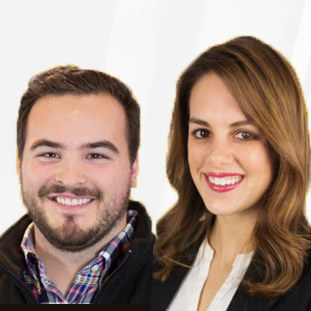 Conga Novatus integrates with Salesforce through Conga’s SalesConnect product, allowing users to manage contracts directly in Salesforce. Conga Novatus offers a wide range of features. A centralized repository offers unlimited storage, retrieval, and archiving, which are configurable based on client’s document retention policies. The Contract Creation Wizard creates new contracts with ease. The Contract Request Wizard submits new contract requests with professionally configured templates. Event alerts assist in automating tasks and meeting deadlines. The Report Wizard provides step-by-step instructions allowing users to run and save system standard and/or ad hoc reports. Scorecarding takes businesses to the next level of decision-making with custom, quantifiable scorecards for companies, contracts, and projects. All text-based documents are immediately available for search once they are uploaded. Searches can be saved. Conga offers add-on modules to expand the capabilities for a more powerful solution. Not sure Conga Novatus is right for your business? Use our contract management Product Selection Tool to compare other solutions. Have questions? Call or email one of our unbiased Technology Advisers for a free consultation. Learn everything you need to know about Conga Novatus. Our experts will reach out to you shortly.